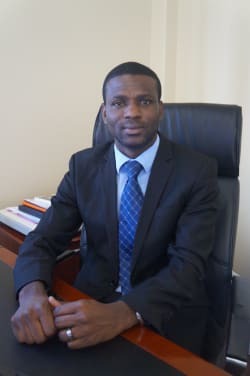 Patrick Chengo joined the Competition and Consumer Protection Commission in August 2011 as a research analyst in the mergers and monopolies department, and in October 2011 transferred his role to the department of consumer protection, Northern Region office (Kitwe). In May 2012, Mr Chengo was appointed as regional manager (chief investigator) for the Northern Region, a position he held until December 2015. He is currently the chief analyst responsible for research and education, as well as policy analysis. His major functions are to spearhead the research, policy and education activities of the Commission. Prior to joining the Commission, Mr Chengo worked for Strategic Visions Limited (a research and HRM consultancy firm) as managing consultant and business development manager. From 2006 to 2010, Mr Chengo worked for the Consumer Unity and Trust Society (an international NGO working on competition and consumer issues) as a programmes officer and eventually as the country coordinator. He has further worked on trade and investment-related issues, and also contributed to the development of the current Competition and Consumer Protection Law while working for said NGO. He was also a member of the Policy Framework for Investment (PFI) technical implementation team appointed for Zambia. He is currently an MBA student (stage 4).